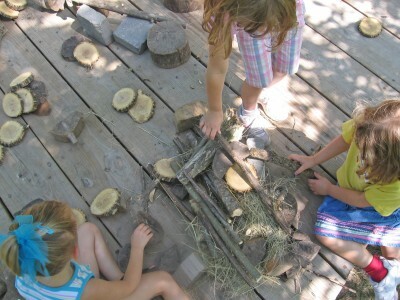 The Nature Explore Classroom at Pioneers Park Nature Center in Lincoln, NE is the 7th certified Nature Explore Classroom in Nebraska and the 30th in the nation. 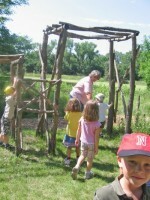 Since 1963 the Nature Center has served the Lincoln area as an environmental education center and wildlife sanctuary. The staff is deeply committed to the natural world, to active learning, and to fostering each child’s strengths and potential for growth. This beautiful classroom is set in a naturally wooded area. Families stroll down a peaceful, winding, wood chipped path to find an enchanting natural play area. The entrance structure is constructed from large branches and has a tall side for adults to enter and a unique, short entrance for children to enter. 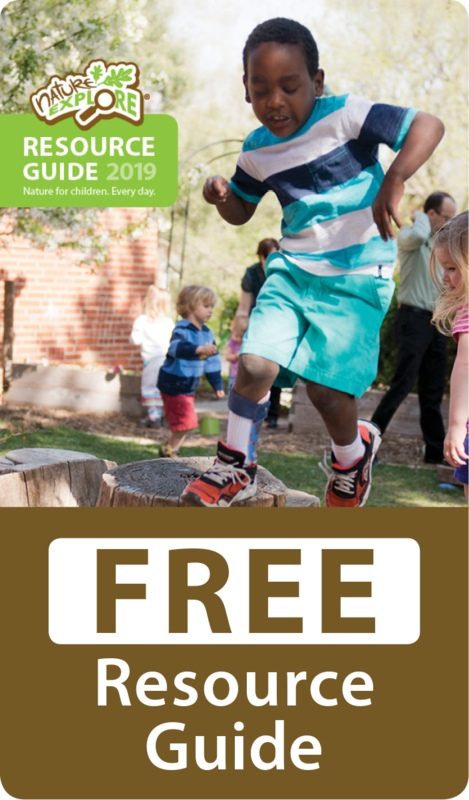 Children are able to move from area to area within the outdoor space, connecting with nature through many different venues. In the Sand Area; rakes, small spades and bowls are used to dig and create works of art in the sand. A special storage area was built to house these items. The Messy Area has small and large sticks, encouraging children to use their imaginations and practice carrying heavy objects. A hollow log centerpiece lures children to climb on top or crawl through. The ‘Build Your Own Fort’ Area has been used as a bird blind, a post office and a fast food restaurant. All trees and plantings in the classroom are native to Nebraska, with cedar and redbud trees, sunflowers and grasses bordering the sides. Nature surrounds visitors with a colorful perimeter throughout the seasons. Most elements are of natural materials, used for durability and low maintenance. Components, such as sticks and tree cookies can be easily replaced when worn. The stage is of treated wood, benches made of recycled materials, while the tables are old electrical spools. In 2015 a number of improvements were made and will be ready for play in the spring of 2016. New additions include a storage shed for educational materials, rain barrels to collect water for use in the area, a large mulch pile for climbing and looking for insects, a grassy knoll with a tunnel through it and a canoe. 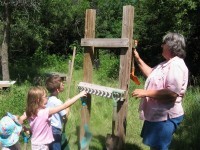 Parents accompany their children to the Nature Center, with special activities offered throughout the year. During Mother’s Day week, 5 classrooms planted flowers in the Butterfly Garden with their moms. The preschool teacher holds special summer classes each week of the summer.